Today’s post on rabbit digestion comes from Jodi McLaughlin. Jodi, a long-time holistic animal health provider, and owner and founder of The Blissful Bunny Massage Workshops, obviously has a soft spot for rabbits. I wrote about both acupressure and Jodi in more depth in a previous post, so I won’t repeat myself here, but don’t miss the story of her rabbit Diego; it is very touching. I didn’t know much about the digestive issues of rabbits before doing a bit of research for this post, but it seems they are very susceptible to digestive disorders. If your rabbit, and especially if it is a baby rabbit, all of a sudden becomes lethargic, won’t eat and/or has diarrhea, take him/her to the vet immediately – they can die in just a few hours if not treated. Caution: Bunny Massage is intended as a complement to regular veterinary care. If your bunny is experiencing a digestive slowdown, call your Veterinarian A.S.A.P. 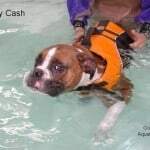 While making Vet preparations you may want to wrap bunny in a towel with a warm water bottle or warm pack against his belly. Massage bun-bun between the eyes and sweep along the jaw-line, back over the face and out to the tips of the ears. 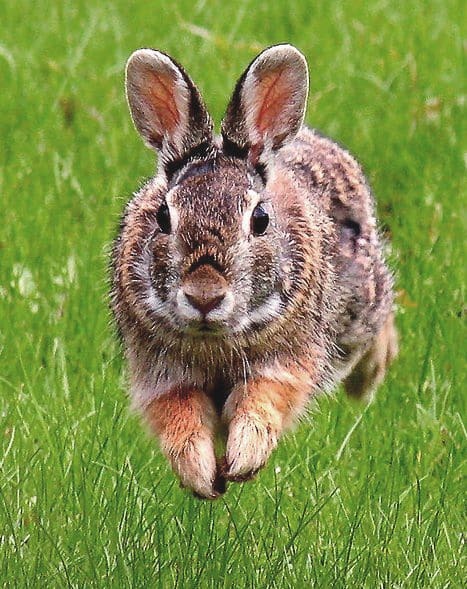 As prey animals, stress can contribute to disease in domesticated rabbits. Sharing intimate touch time with our lagomorph companions creates a blissful and thriving housemate. Begin your bunny massage sessions on a secure table or lap. Always use a gentle and light touch. Bunny will guide you through the session. Belly and Sides (between last rib and hips): If bunny accepts “trance” position, use fingers to lightly massage tummy with clockwise circles. 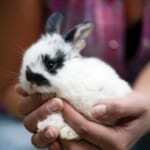 Or, with bun sitting or laying in normal position, connect fingers under belly and sweep up and over sides onto back. Make 6 or more belly passes. Next, lightly jiggle the hands as you sweep up and over bunny’s sides. Another 6 or more passes should please Bun-Bun. Knee: Use thumb or index finger to make dime size circles, always clockwise, on the outside of bun’s lower legs, just below the knee caps. Hind-feet and Ankles: If bun allows (perhaps when held on back or securely against your body), brush fingers down the top and underside of hind feet 3 times, then lightly squeeze all toes. Next tap thumb or index finger along the inside edge of both feet finishing with a light squeeze around each ankle. Be very gentle. If bun enjoys foot massage, work front feet and toes also. Always begin and end bunny massage time with 3 hand sweeps from head to tail tip. Finish with dampened hands to wipe the halo of loose fur off bunny. Massage is simply petting Bunster with a present and loving intention. As prey animals, stress is a primary reason for illness in house rabbits. Keep Bunster’s digestive system running smoothly. Provide him with fresh water, a daily offering of greens and safe herbs, grass hay, nutritious pellets, unfiltered sunlight, comforting touch and environment, friends, and the invitation to play. Everyday will be a Blissful Bunny Day!